Houston Cougars There are 84 products. Get the perfect look to let everyone know you are a stylish Houston Cougars fan! With eye-catching graphics, this Men's Linell Bonner Houston Cougars Football T-Shirt - Red will show everyone that you know how to display your spirit in style. With a comfy tee and that classic look you love, you'll be ready to head anywhere and know that you look your best. Get the perfect look to let everyone know you are a stylish Houston Cougars fan! 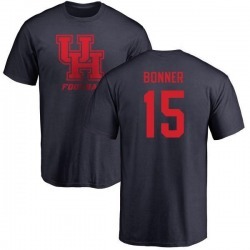 With eye-catching graphics, this Men's Linell Bonner Houston Cougars One Color T-Shirt - Navy will show everyone that you know how to display your spirit in style. With a comfy tee and that classic look you love, you'll be ready to head anywhere and know that you look your best. Your die-hard Houston Cougars dedication cannot be beat! 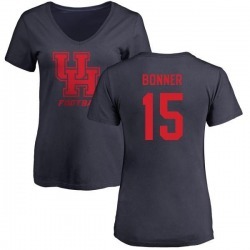 Let everyone know your pride is #1 by sporting Women's Linell Bonner Houston Cougars One Color T-Shirt - Navy for game day. Sporting this truly unique look to the next game will definitely mark you has a huge fan! Get the perfect look to let everyone know you are a stylish Houston Cougars fan! 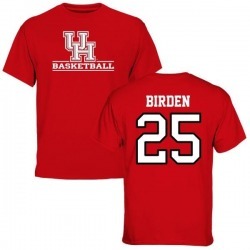 With eye-catching graphics, this Men's Dillon Birden Houston Cougars Basketball T-Shirt - Red will show everyone that you know how to display your spirit in style. With a comfy tee and that classic look you love, you'll be ready to head anywhere and know that you look your best. Get the perfect look to let everyone know you are a stylish Houston Cougars fan! With eye-catching graphics, this Men's Kyle Allen Houston Cougars Basketball T-Shirt - Red will show everyone that you know how to display your spirit in style. With a comfy tee and that classic look you love, you'll be ready to head anywhere and know that you look your best. Get the perfect look to let everyone know you are a stylish Houston Cougars fan! With eye-catching graphics, this Men's Linell Bonner Houston Cougars Basketball T-Shirt - Red will show everyone that you know how to display your spirit in style. With a comfy tee and that classic look you love, you'll be ready to head anywhere and know that you look your best. Get the perfect look to let everyone know you are a stylish Houston Cougars fan! With eye-catching graphics, this Men's Tyus Bowser Houston Cougars Basketball T-Shirt - Red will show everyone that you know how to display your spirit in style. With a comfy tee and that classic look you love, you'll be ready to head anywhere and know that you look your best. Your die-hard Houston Cougars dedication cannot be beat! Let everyone know your pride is #1 by sporting Women's Dillon Birden Houston Cougars Basketball Slim Fit T-Shirt - Red for game day. Sporting this truly unique look to the next game will definitely mark you has a huge fan! Your die-hard Houston Cougars dedication cannot be beat! Let everyone know your pride is #1 by sporting Women's Kyle Allen Houston Cougars Basketball Slim Fit T-Shirt - Red for game day. Sporting this truly unique look to the next game will definitely mark you has a huge fan! Your die-hard Houston Cougars dedication cannot be beat! Let everyone know your pride is #1 by sporting Women's Linell Bonner Houston Cougars Basketball Slim Fit T-Shirt - Red for game day. Sporting this truly unique look to the next game will definitely mark you has a huge fan! Your die-hard Houston Cougars dedication cannot be beat! 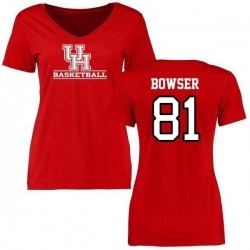 Let everyone know your pride is #1 by sporting Women's Tyus Bowser Houston Cougars Basketball Slim Fit T-Shirt - Red for game day. Sporting this truly unique look to the next game will definitely mark you has a huge fan! Your die-hard Houston Cougars dedication cannot be beat! 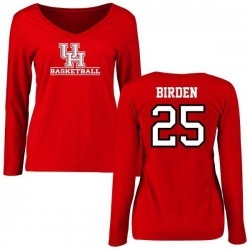 Let everyone know your pride is #1 by sporting Women's Dillon Birden Houston Cougars Basketball Slim Fit Long Sleeve T-Shirt - Red for game day. Sporting this truly unique look to the next game will definitely mark you has a huge fan!